It’s the 31st of July. The Royal Mile is already impassable. The rainclouds are giving us a day or two of reprieve before they unleash their month-long onslaught. The many, many posters have arrived. And I’ve got a tasty bundle of spoken word gigs. Hope to see you at them! 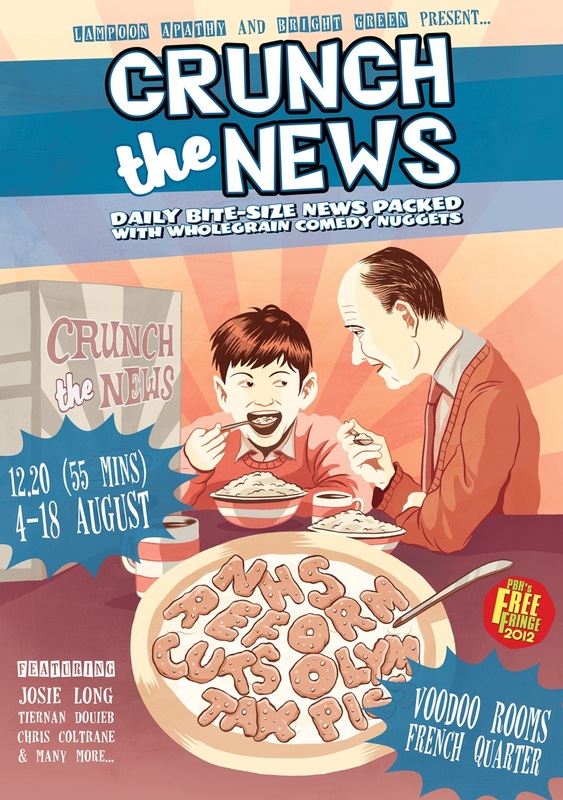 Presented by Lampoon Apathy and Bright Green, a daily comedy news panel show and hotbed of radical cynicism, featuring Josie Long, Tiernan Douieb, Chris Coltrane, many more, and yours truly as an occasional rhymer-in-residence (dates tbc). For the second year I’ve helped to organise a spectacular 6-day minifest of spoken word, bringing together local and international performers in a big splash of one-off events. Full programme here; I’ll be MCing at Summerhall, 10-12pm, 8th and 9th. The Fringe’s only open slam, organised by top promoters Tea Fuelled — I’ll be throwing my hat into the ring alongside plenty others. The single biggest spoken word event on the Fringe: a 5 hour poetry marathon featuring allstars and newcomers and everybody else. It’ll be big, boozy, wild fun. I’ll be on around 11pm. Showcase of varied local talent, featuring Robin Cairns, Fiona Lindsay, Bram E. Geiben and myself, hosted by Jenny Lindsay. The second annual BBC Slam at the Fringe, this time an exhibition slam, with a big diversity of UK performers. I’ll be doing a guest performance on Thursday 23rd.